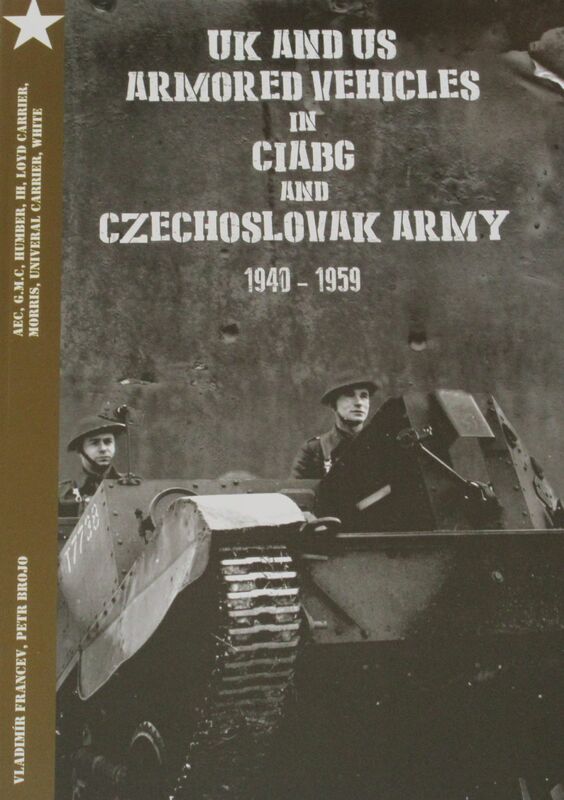 Predominantly arranged as a photographic album, this book is a fascinating pictorial history of allied armoured vehicles used by the Czechoslovak Independent Armoured Brigade (CIABG), an armoured unit of expatriate Czechoslovaks organised and equipped by the United Kingdom during the Second World War. The book also covers those vehicles that returned to Czechoslovakia after the war, and which subsequently ended up in use by the new Czechoslovak Army. Aside from around 20 or so pages of text (with all text in both English and Czech), every page of the book is taken up with over 150 black and white photographs showing vehicles, and each photograph has a short caption detailing what is shown (this caption is in both Czech and English). From the publishers description: This book.... contains an overview of identification numbers for all armored vehicles which CIABG received in England. Also detailed are those vehicles which returned to Czechoslovakia, and which subsequently received new registration numbers in the post-war Czechoslovak army. Condition of the book is generally excellent. The covers are clean and bright, the spine is tight and intact and all pages are clean, intact, unblemished and tightly bound.